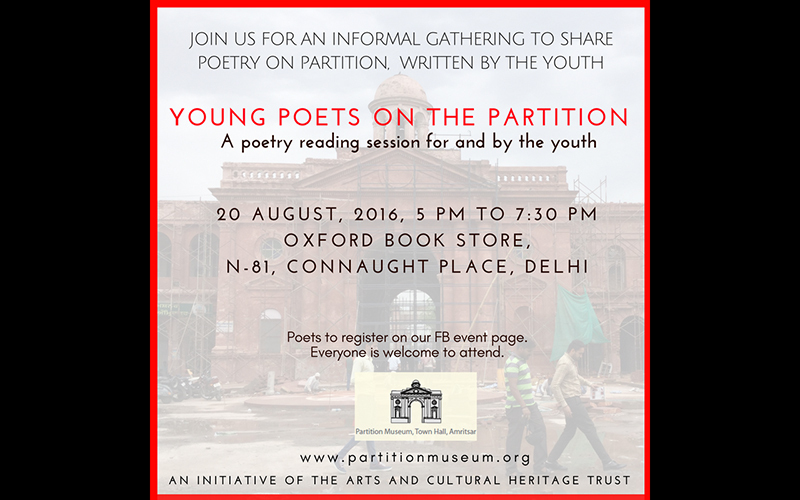 The Arts and Cultural Heritage Trust invites you to Young Poets On the Partition, A poetry reading session for and by the youth at Oxford Bookstore, N-81, Connaught Place, New Delhi. 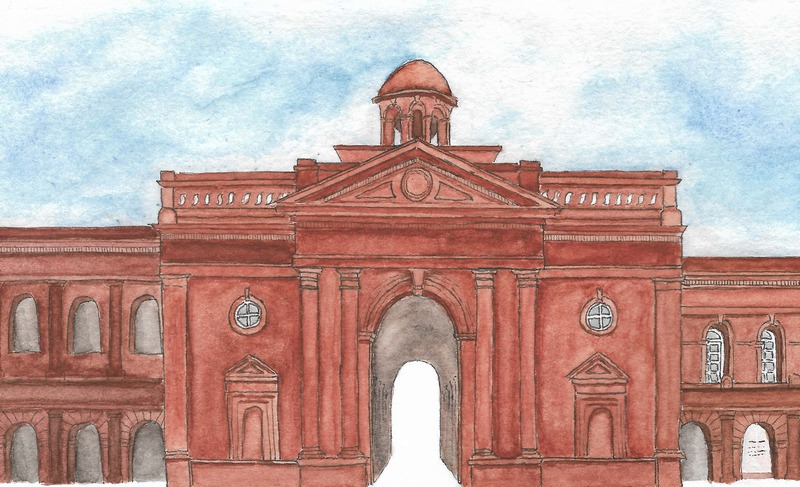 As we step into the 70th year of Independence, we also move a little closer to setting up of the Partition Museum at Town Hall in Amritsar. This is primarily a people’s museum, commemorating the Partition of 1947, and we have received tremendous support and encouragement from the people at large for the cause. The young are volunteering to collect information, research, curate and participate in many different ways with the Partition Museum. Some of them are already writing poetry on the Partition. Owing to a phenomenal response from them, we would like to invite Young Poets who have written on the Partition and would like to share their work with a larger audience. Apart from poets, the event is open for everyone to attend.